This coming Monsoon season it’s time to head out and catch some waves! Rip Curl (Malaysia) will be partnering together with the State Government of Terengganu, on the up-coming first 6-star Pro Surf Contest on 30th November till 2nd December during the Monsoon season at the coastal of Pantai Batu Burok, Kuala Terengganu. I’m thrilled Malaysia will be hosting the adrenalin rush event as well, promoting surfing among the community especially to women. Calling all surfers especially Malaysian surfer, it’s time to bring out your surf boards! The 6-star RipCurl Pro Surf Contest was announced during the press conference accompanied by fashion show at the Rip Curl 1 Utama outlet and Rip Curl had also signed an official deal with two top Malaysian Surfer. The Terengganu Rip Curl Pro surf contest 2012 is a surf event sanctioned by the Asian Surfing Championship (ASC). Surfers from different regions of South East Asia will compete in five different divisions – Men’s Open, Women’s Open, Master Division and Bodyboard Open, and Longboard Open. With an estimated of over RM 40,000 worth of prizes up for grabs for the participant’s surfers. Several fun-filled educational activities have been installed for the public with the aim to educate people from all walks of life about surfing activities. A surf clinic will be set-up for public to experience and learn how to surf with Jonni Morrison – Deaker, from the Rip Curl Bali Surf School. Plus, check out the booth on process of how a surfboard is made with live demonstration. And do catch Indonesia top surfboard artist, Mr. Rizald from Bali who will be the guest artist for the Surfboard Art Exhibition. 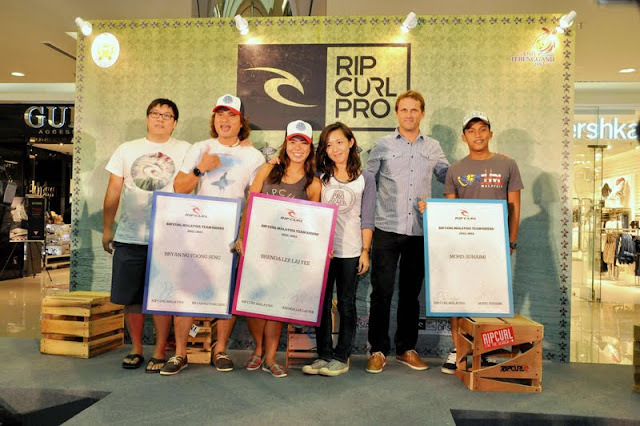 Rip Curl (Malaysia) had also signed a 1-year Official Rip Curl Malaysia Riders deal with two top Malaysian surfers – Bryan Ng and Brenda Lee, a top lady surfer in Malaysia. Both contributes a significant amount to the local surfing scene. 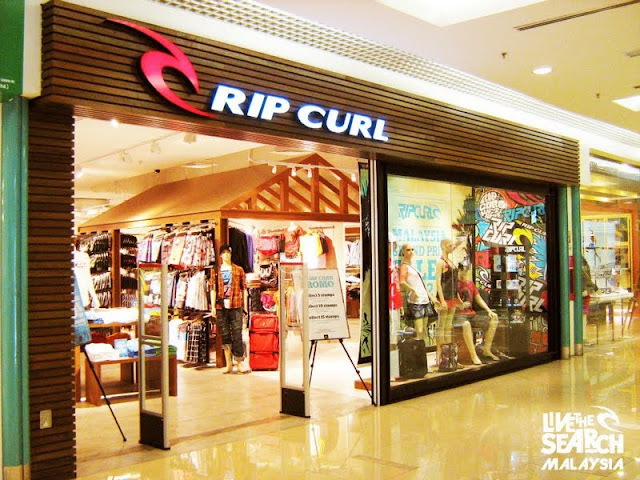 Rip Curl Malaysia sees great potential and strongly believe in both top surfers to grow together with the brand. In terms of reaching out, especially to the ladies by creating awareness on surfing, to educate the public about surfing and growing the local surfing community by providing opportunity to all Malaysian and serving as platform to anyone who is willing to give surfing a go and up scaling the surfing sports in Malaysia. 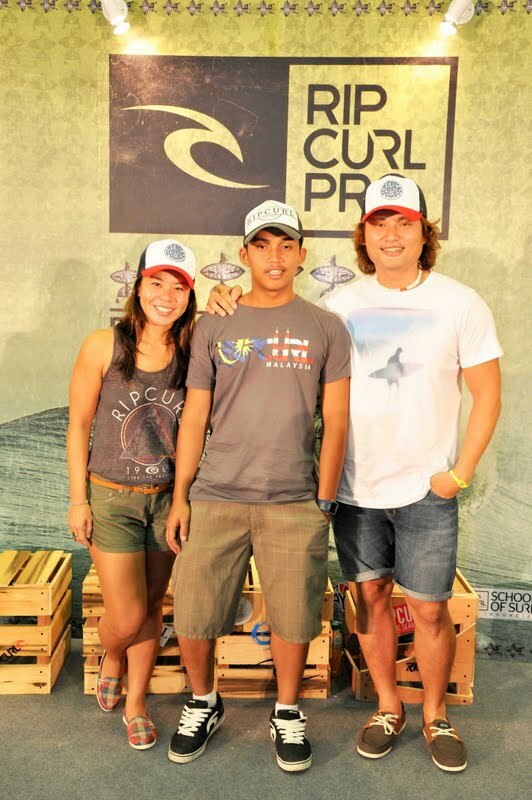 Rip Curl Malaysia had also renewed the official rider contracts for 17-year old young surfer Mohd. Suhaimi (Semmy) from Cherating. Let’s cheer for our Malaysian Surfers Brenda, Semmy and Bryan. They’ve proved to us age and gender does not restrict one to live up for their passion and dreams! Are you excited and keen to learn more about surfing? Drop by over to the event and learn more at the Surf Clinic and live demonstration on how a surfboard is made! get the latest news & updates from Rip Curl Malaysia Facebook. The brand Rip Curl, was started by two surfer mates, Brian “Sing Ding” Singer and Doug “Claw” Warbrick, in a quiet Victorian coastal town in 1969, Rip Curl was originally created as the vehicle for a great lifestyle – Brian and Claw making surfboards to pay for their passion for adventure in the oceans and mountains of the world. Over the 28 years since it began, Rip Curl has grown to be an international manufacturer of surfboards, wetsuits, surfwear, watches, surf accessories and mountainwear – a source of truly functional products for anybody on The Search for the perfect wave or the perfect powder snow covered terrain. Fahreinheit88, KLCC, Wangsa Walk, Setia Alam, Johor Premium Outlets, Sunway Pyramid, 1 Utama, and Suria Sabah, Kota Kinabalu.